Let us introduce you to Chomp, the sweetest method of teaching children about animal food chains we’ve ever laid eyes on. 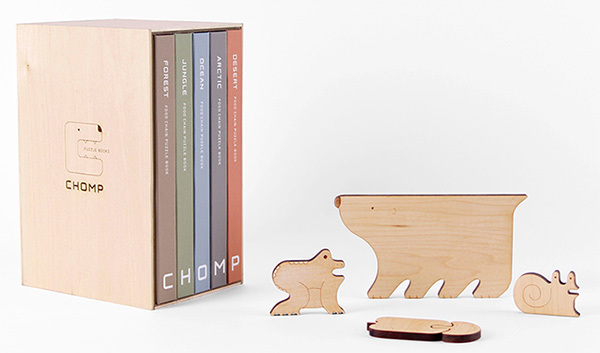 Chomp is a series of puzzle books designed by Mirim Seo to easily and visually teach children about basic food chains. 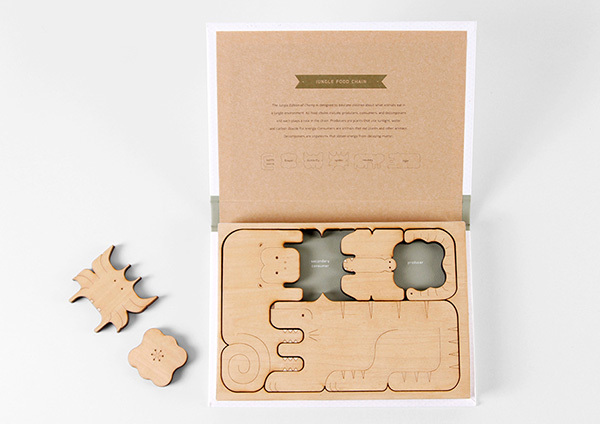 It includes four puzzles covering forest, jungle, ocean and arctic animal kingdoms. Each puzzle introduces different levels of a food chain with its environment and its producers, consumers and decomposers. When children have completed each puzzle they can see the process of exactly who eats who (or what) to survive. 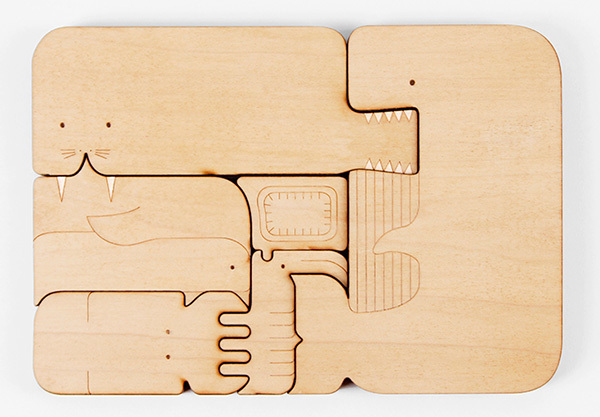 Unfortunately, Chomp is not yet produced for sale, but we love the concept all the same – we’ll be sure to let you know if and when it’s available to buy!